I actually go this idea from the cover of Paper Crafts Magazine. 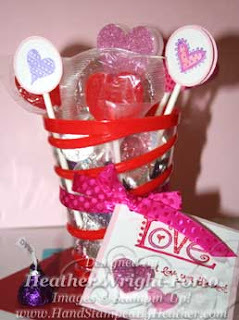 Kids love candy, love lollipops, love stickers and stamps! This simply and fun project has it all! 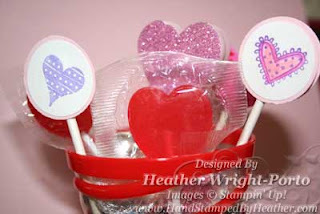 Most supplies purchased from Michael's, the candy from CVS, and the heart stamps, paper, circle punches, markers and inks are from Stampin' Up! Here are a few close-ups! 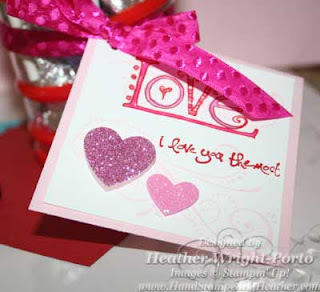 The cup is filled with pink, purple, and silver Hershey's Kisses.